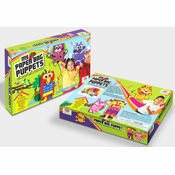 Warranty : 100% money back guarantee if there is an issue with product quality,7 DAY Easy Returns. 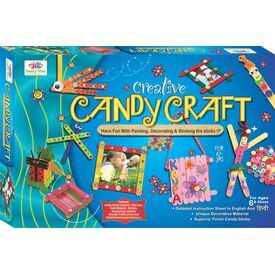 Creative Candy Craft, Have Fun With Painting, Decorating & Sticking the sticks!! 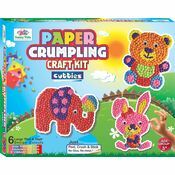 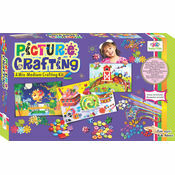 You Can creative vibrant photo frames, jazzy pen stand, playful candy puppets, trendy door hanger, cute book marks, amazing room décor and much much more with this kit. 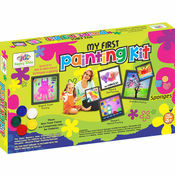 Besides the candy sticks with superior finish, the kit has some awesome decorative material like buttons, satin ribbons, woolen threads, sequins, goggle eyes, tikki lace, paints e.t.c & a well illustrated and detailed instruction manual.